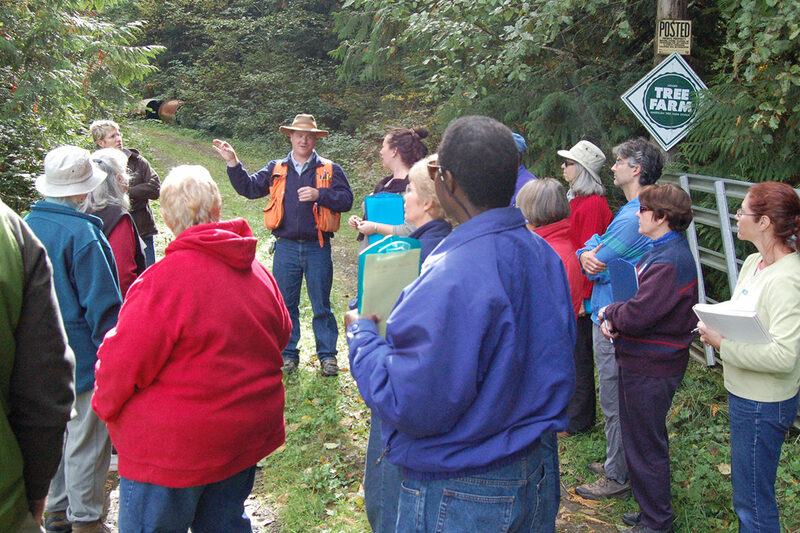 WSU Forester Andy Perleberg leads a land tour as part of an extension workshop. WSU Extension helps landowners preserve and pass on their forest lands at a Dec. 14 event in Spokane. Helping landowning families in Northeastern Washington protect their forests, farms and ranch lands, Washington State University Extension Foresters will hold a “Ties to the Land” succession planning workshop, Friday, Dec. 14, in Spokane. The award-winning workshop helps landowners maintain their ties to the land across multiple generations or successive owners, building awareness and sharing solutions for major challenges facing family businesses. “Ties to the Land” offers a mix of presentations, videos and practical exercises, including a question and answer period with an estate planning attorney specializing in farm and forestland transitions. Participants learn communication and family meeting skills, understanding generational characteristics, and the legal and economic aspects of transferring a farm, forest or ranch from one generation to the next. They receive a workbook and companion video collection, tools designed to help families to continue to improve and direct communication and planning at home. The workshop runs 8:30 a.m.–4:30 p.m. at the Enduris Training Facility, 1610 S. Technology Blvd., near Spokane International Airport. Registration is $50 per family or ownership, and includes one workbook, a USB video and reference collection, and refreshments. A $10 catered lunch may be purchased in advance. Enrollment is limited to 30 families, and registration is on a first come, first served basis. For more information, contact Andy Perleberg, WSU Extension Forester, 509‑667‑6540, andyp@wsu.edu. See more upcoming events at the WSU Extension Forestry website.